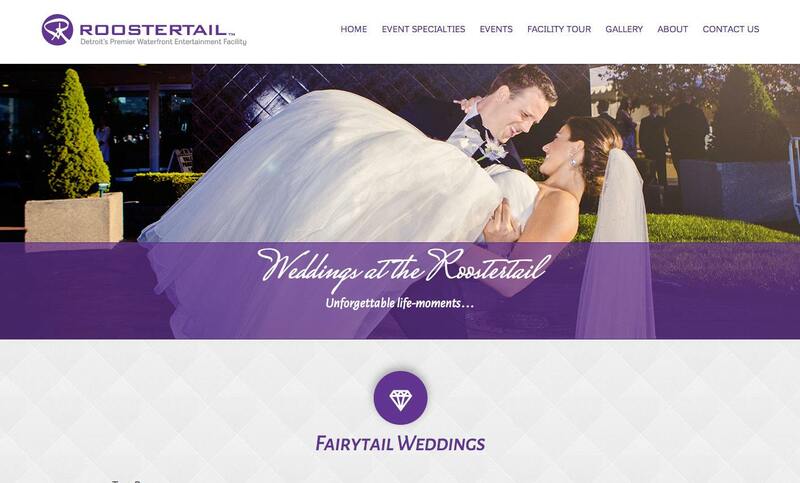 We were approached by the Roostertail to help them revitalize their online presence. The elegant and well established Roostertail was just not that when it came to their website outlook. It lacked engagement, pizzazz and overall it lacked the broad view needed to relay who the Roostertail was (especially when it came to its history). 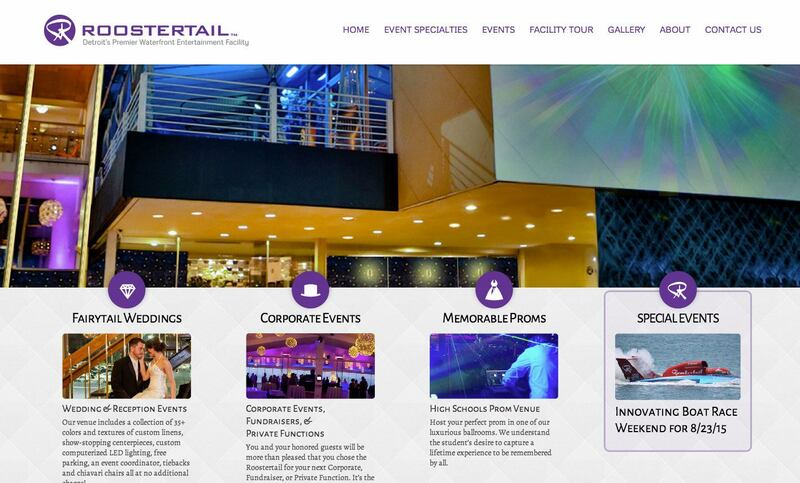 The Roostertail is Detroit’s premier waterfront entertainment facility. Since its inception in 1958 the Roostertail has become an icon in Detroit’s social scene and has captured the interest of the “who’s who” all around the city and has become “the” place to see and be seen. Aside from hosting some of Detroit’s most memorable parties, the Roostertail has also had its share of fame hosting a number of celebrity performers from the likes of Tony Bennett and Eric Clapton to the Rolling Stones and Aretha Franklin. 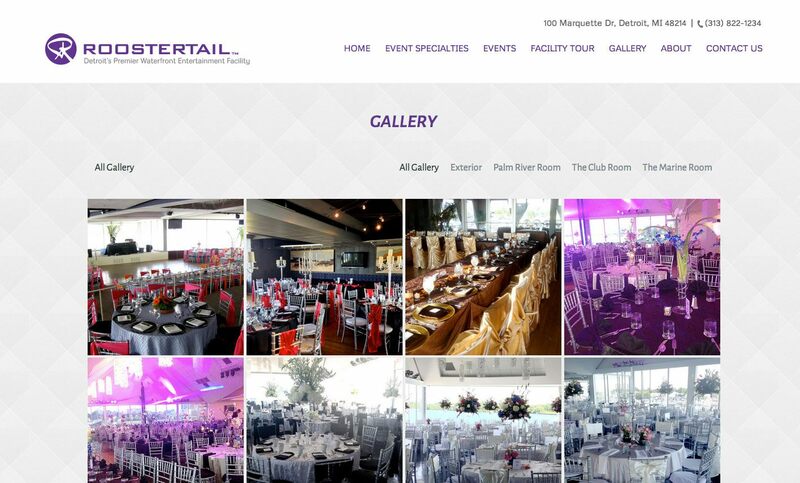 These days the Roostertail is devoted to catering private events, one third of all high school proms in the Metro Detroit Area are held at the Roostertail as well handling over 70 weddings a year. Whatever the occasion, it’s sure to be a hit.